* Three Sides Live, the concert film shot in the US and released in tandem with the live album of the same title, which made the Top Ten on both sides of the Atlantic in 1982. Contains extra full length tracks in 5.1 Audio only. * Genesis Live – The Mama Tour, filmed in 1984 at the National Exhibition Centre in Birmingham, and featuring the band performing material from the chart-topping Genesis album. Also featuring 'The Making of the Mama Album' a home video filmed by Phil Collins during the making of the Genesis album. * Genesis Live At Wembley Stadium, shot during the group's record-breaking run of four sold-out concerts in July 1987, at the height of their popularity following the release of the number one album Invisible Touch. The DVD also features the tour documentary entitled 'Visible Touch'. * Genesis: The Way We Walk – Live In Concert, filmed in 1992 at London's Earls Court Exhibition Centre, and issued alongside the Top 3 albums Live – The Way We Walk Volume One: The Shorts and Volume Two: The Longs. * Bonus material alongside the Mama Documentary comes in the shape of the updated 2009 version of VH1 'Behind The Music' special about the band. The original version aired in December 1999. 'Cabin Fever' was an innovative recording session where 'Before The Frost… Until The Freeze' was recorded over a series of five nights at Levon Helm Studios. The sessions were filmed in front of an intimate live audience and allows the viewer into the recording studio with the band. Songwriting sessions are revealed and lots of never before seen banter and behind the scenes footage is shown. Chris Robinson had this to say about the Cabin Fever sessions: "I think we fulfilled a musical commitment to continue on the golden road of artistic independence. Approaching 20 years into our careers, we still are ambitious enough to push ourselves to create something unique that we have never done before." As The Black Crowes approach the upcoming 20th anniversary of their release of one of rock's most influential records, Shake Your Money Maker, which produced such hits as Jealous Again, She Talks To Angels and Hard to Handle, they are time and again hailed as one of Rock and Roll's best live acts. 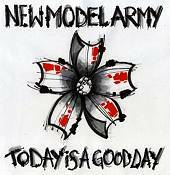 New Model Army are a legendary global underground cult band. Formed by Justin Sullivan in Bradford in 1980, their beginnings were inspired by Punk Rock, Northern Soul and the incendiary atmosphere of the times. Since then, they have had a long, creative and eventful journey. They have been massively influential in 'post-punk', 'folk-rock', 'politico-rock', 'goth', 'metal' and all kinds of musical sub-cultures but have successfully resisted belonging to any of these categories or genres. After nearly thirty years, they have never lost the ability to change, to thrill or to challenge and they remain central to the lives of thousands of fans from all walks of life spread across the world. In September this year they will release their eleventh studio album entitled 'Today Is A Good Day'. Mostly written last autumn in the wake of the Wall Street Collapse (an event celebrated in the white-hot opening title track), the recording was postponed by the sudden and unexpected death at Christmas of Tommy Tee, the band's long-time friend and manager. However, with another long-time friend Chris Kimsey (notable for his work with the Rolling Stones, Jimmy Cliff, Killing Joke and countless others) at the controls, the album is now finished – once again filled with unclassifiable music and challenging lyrical ideas. 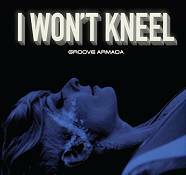 Groove Armada release their euphoric new single 'I Won't Kneel'. It's a blistering sneak preview from their eagerly anticipated new studio album 'Black Light', which ranks among their best work to date and sees the masters of reinvention move in some thrilling new directions. Written and produced by Andy Cato and Tom Findlay, the track features a scintillating vocal from female singer SaintSaviour, who has been described as a cross between Kate Bush and Anthony & The Johnson's. Remixes are by Joe & Will Ask, Mock & Toof, Bloody Beetroots and No Brainer & Mouj. 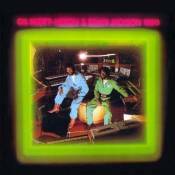 '1980' was the last album that Gil Scott Heron recorded with his musical collaborator Brian Jackson. Originally released in 1980, the album includes the popular single 'Shut Em Down' and is both lyrically and musically on point throughout. 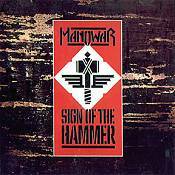 The album reflects on the turning of that decade and 30 years on many of the messages are still relevant to today's society. The album has been re-mastered from the original master tapes and sounds incredibly fresh. Brian Jackson has written some new sleeve notes especially for this CD issue, which give an interesting insight into the recording of the album. 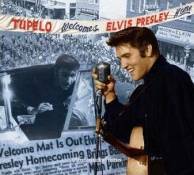 Documenting Elvis' homecoming concerts in September 1956 in Tupelo, Mississippi. The CD features 2 shows recorded at The Mississippi – Alabama Fair and Dairy Show Fairgrounds also including 2 exclusive interviews, one with Elvis & one with his parents; Vernon and Gladys. The set also includes an in-depth 40 page hard back book, with exclusive photos and interviews! Essential for any Elvis Collector! 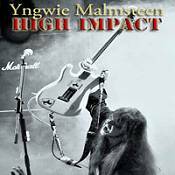 'High Impact' is a compilation of Yngwie's most masterful instrumental performances since 1993. Containing only one Yngwie vocal track, this unique and amazing compilation also captures the guitar god's mind-blowing talents on a very rare live performance of 'Far Beyond the Sun' and a never before released bonus track of Yngwie's interpretation of the Michael Jackson mega hit classic 'Beat It', which contains his own magical touch to the song. 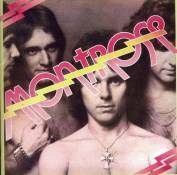 The debut Montrose album is universally regarded as one of the greatest, if not the greatest, hard rock albums of all time. Released in early 1974, it introduced both a sound and a swagger that single-handedly dragged heavy rock kicking and screaming from its turgid proto-metal roots into a modern streamlined era, opening up a brave new world of possibilities. It was the sound of a mould being smashed to smithereens and the birth of a new epoch; a sound that Van Halen would co-opt for their own earth shattering debut four years later. For guitarist Ronnie Montrose and frontman Sammy Hagar, this was indeed history in the making. It has been rightfully said that there is not a weak track on this album. Every guitar riff, drum break and ball-squeezing vocal rings out with a pristine clarity that sounds as astounding now as it did when it was first released. Essential to their monumental sound is the creative axis of Sammy Hagar and Ronnie Montrose, who provide the classic guitar / vocalist foil, in a tradition set by Plant/Page, Jagger/Richards and Tyler/Perry. With Hagar's immediately identifiable vocals and Montrose's juggernaut guitar riffs the results are truly mind blowing. 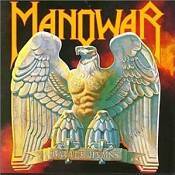 It is an album full of classic hard rock moves. From 'Rock The Nation', to 'Bad Motor Scooter', through 'Rock Candy' (a track so good, in fact, that a record company was named in its honour!) to the truly 'Herculean Space Station #5' there is no denying the sheer thermo-nuclear power. With the emphasis on maximum mayhem we ask only that no prisoners be taken. Once again, the gods of war are unleashed. Recorded at the Dollywood Theater in 2002, this concert was part of Dolly Parton's 'Halos And Horns' tour that marked her return to the road after a 10-year absence. This is Parton's first concert DVD release. The show connects the dots between her return to the rural mountain sound with material from her Grammy-winning acoustic albums, to her commercial hits that helped catapult her to superstardom. Parton and her band, 'The Blueniques' swing with ease from bluegrass to pop-country hits to mountain ballads, punctuated with Parton's autobiographical anecdotes and endearing humour between songs. Her sold-out club and theatre tour elicited not only critical raves, but also an amazingly diverse audience, cowboys, men in boas, along with punk-rockers, hipsters, teenagers, and seniors, illustrating why Parton is one of the most beloved stars in the world. "…the icon satisfied the hunger of a worshipful crowd that laughed at every joke, clapped along with every uptempo number and sang along to every country classic. The show's pacing and musical variety made it engaging even for those novice fans not steeped in all things Dolly." (Chicago Sun-Times). Originally released in August 1995, this is the first time this album has ever appeared on vinyl. The artwork for the album has been specially designed by the original v23 partner Chris Bigg, who along with Vaughan Oliver were the creative genius behind the 4AD visual identity. 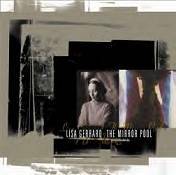 Lisa's first solo album, 'The Mirror Pool' saw her accompanied by the Victoria Philharmonic Orchestra, it is an album that defies categorisation, causing one impressed but perplexed reviewer to describe it as "ambient, orchestral, folk and new age all at the same time." The United States have produced many great artists and a great many of them have recorded Christmas repertoire, but few of them have enjoyed the success in this area of music than Elvis Presley and Frank Sinatra. 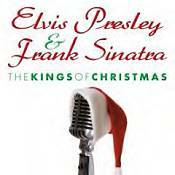 On this value for money CD both Elvis and Frank give us 12 unforgettable Christmas classics which we never tire of hearing. A must for Christmas!!!!! 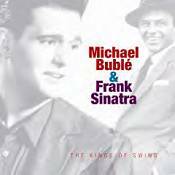 Already a huge sales success for us, we have decided to repackage the Michael Bublé – Kings of Swing (with Frank Sinatra CD) with a new totally different design. Featuring his early recordings for DRG Records that have all the panache and excellence as his current Warner recordings. Unfortunately he only recorded 7 tracks for DRG before signing to Warner Bros., but we have put a compilation together featuring not only his self acclaimed greatest influence, but also the artist he is most likened to, Frank Sinatra! This attractively packaged 14 track CD features all the DRG tracks recorded by Michael Bublé and 7 classic recordings from Frank Sinatra [conducted and arranged by Nelson Riddle and George Siravo on You Do Something To Me and 'Lover'] demonstrating perfectly how well these two artists blend together on one CD. The fact that recordings made of Britain's Soft Machine remain as rewarding and inspirational today as the moment of their making, qualifies the groups international stature as the most expressively intelligent of rock music's progressive epoch. Born of the Beat Generation & Beat music, sacrificed on the clichéd tracks of jazz-fusion, the music in between by the classic quartet of keyboardist Mike Ratledge, saxophonist Elton Dean (1945-2005), bass guitarist Hugh Hopper (1945-2009) and drummer Robert Wyatt is mercurial genius manifest. Still and all, a creative apex where the music attained a 'whole greater than its sum parts', occurred on the evening of February 28th, 1971 at the Henie Onstad Art Centre in Oslo, Norway. Here the group was afforded a rare crucible for their collective creativity by virtue of an intimate concert space, accurate amplification, and an appreciative audience. 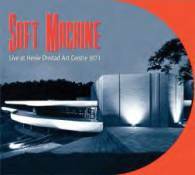 Also in Henie Onstad for his own Art Exhibition was Soft Machine's friend Mark Boyle [1926-2005], who projected his sensory films during this concert. Thankfully, the performance was professionally recorded using classical ambient technique, and safely archived until the Henie Onstad Art Centre, and the musicians, granted Reel Recordings the honor and responsibility to present this magnificent recording for CD release. The results sound for itself as demonstrably the finest stereo recording of Soft Machine ever captured on tape. Raven presents the first comprehensive, multi-label single CD covering the solo years of Gregg Allman, one of the greatest American musicians of the rock era. 'The Solo Years 1973-1997: One More Silver Dollar' is brimming with exciting R&B, soul, gospel and rock sounds. As singer, organ player and songwriter for the multifarious Allman Brothers Band, Gregg established an identity as a master of Southern Rock. This is the first time that the best of his solo recordings for both Capricorn and Epic/Sony have been combined on the one CD. Culled from six solo albums, spanning 25 years, this is Gregg establishing his own identity often in a more soulful, less supercharged setting than the powerful Southern blues-rock for which the Allman Brothers had became known. 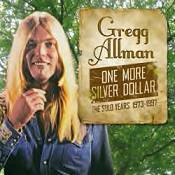 'One More Silver Dollar' boasts the US hit singles 'Midnight Rider' and 'I'm No Angel', plus 'Queen of Hearts', 'Let This Be a Lesson to Ya', 'Demons' and 'Whipping Post' plus covers of Jackson Browne's 'These Days', Clarence Carter's 'Slip Away', James Carr's 'The Dark End Of The Street', John Hiatt's 'Memphis In The Meantime' and 'Don't Mess Up A Good Thing'. With superb quality audio, detailed liner notes, colour booklet.